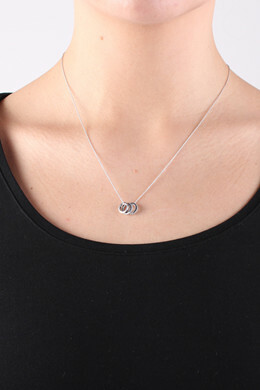 Our exclusive Sterling Silver Collection: Classic necklace in polished Sterling silver. 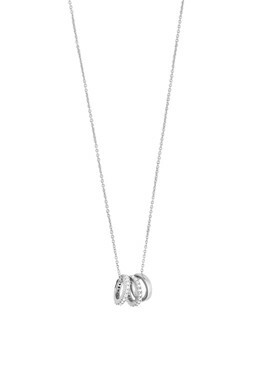 The necklace is decorated with three small circles: two adorned with white cubic zirconia crystals and one with a polished sleek surface. 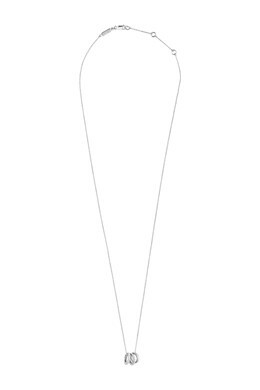 Chain length: 45 cm + extension. Lobster closure.